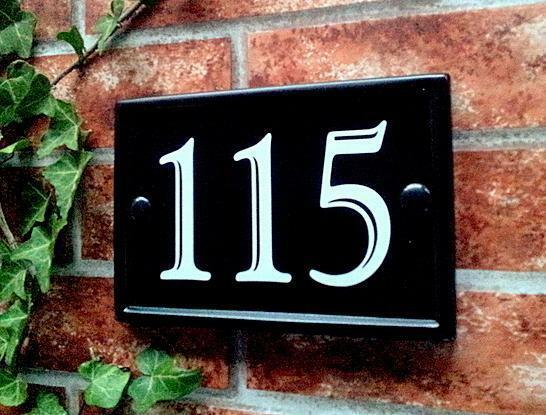 Rectangular house number sign suitable for up to 4 digit numbers or 3 digit numbers and a suffix e.g. 164B. 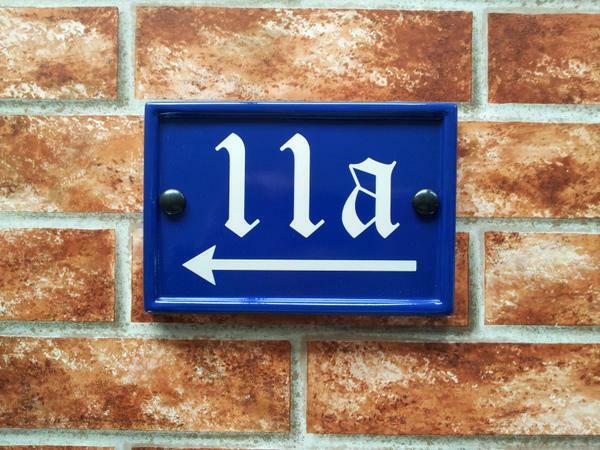 Directional arrows also available for difficult to find properties. Thank you very much for prioritising this sign for my parents' house. It arrived today, and was described as "excellent - very smart". They're having a tough time with health visits and carers and all sorts of people arriving, so having a highly visible and good-looking sign will be a great help. Many thanks. 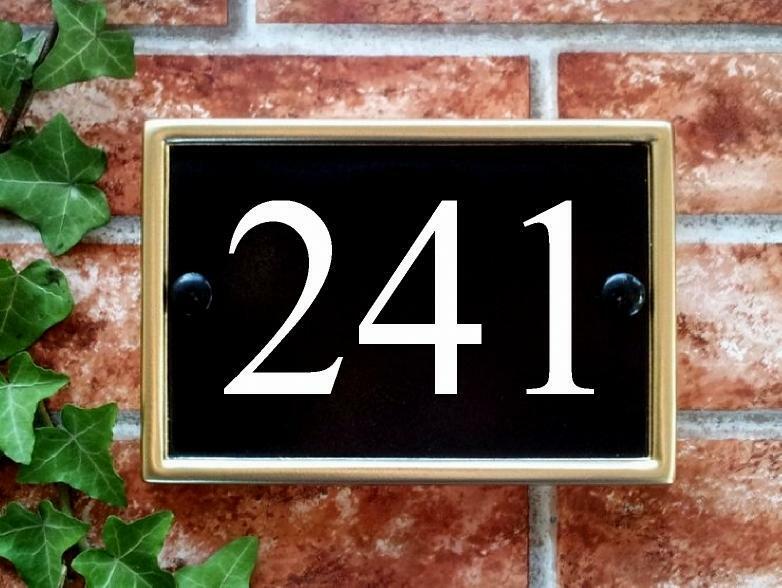 Excellent service signs perfect both house name and number definitely recommend. Thank you. Sign great and much loved by its recipient. Thanks for all your help. 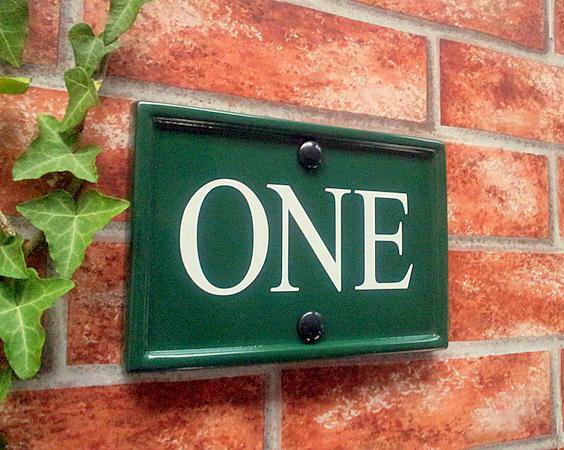 The product is great, unfortunately it cracked on a corner whilst being fitted to the wall, and when I contacted your signs a profound apology together with the explanation that this had only happened once before was given and a replacement dispatched promptly. I am a great believer that you can always get a problem with something and I judge the the product by the reaction of the supplier which in this case couldn't be faulted. 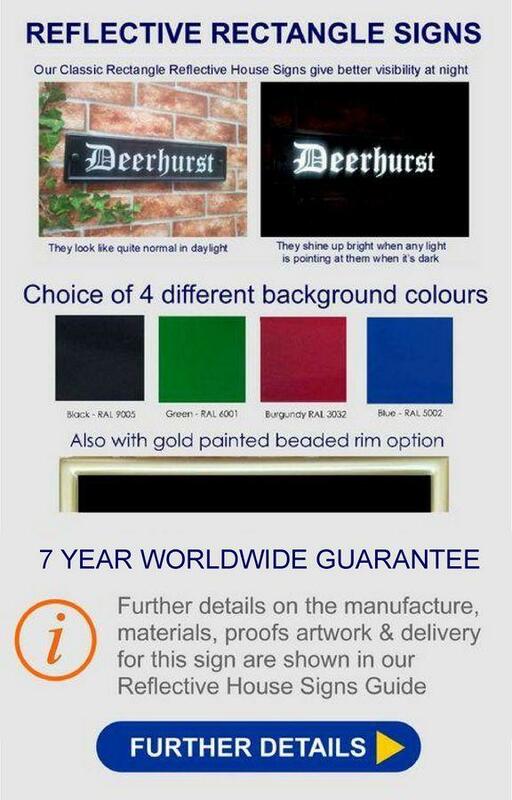 Excellent product and service would not hesitate to recommend or buy again.